Hey everyone! 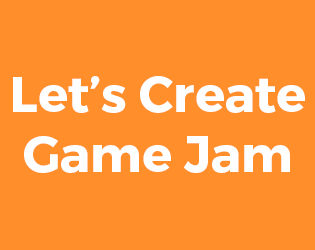 Welcome to the Let's Create Game Jam #2. This is our Christmas jam. This is our last community event of the year and will be pretty relaxed! This game jam will not have any "Prizes" but the top three games will be featured on the channel. I'll also be posting a show reel of the games from the jam. To get in the show reel make sure to check out the information below. Can I use Game Engines And Tools? Yes! Game engines and tools such as Shader Forge for Unity are perfectly fine and encouraged. Do I have to create the art? The art must be created by the individual or team entering into the game jam. Downloading assets and using them for your game will not be accepted for the game jam. Do I have to create the music? Since this game jam is more relaxed music will not be rated. Feel free to make your own or download some! When does the rating end? The rating ends on the 31st, the winners will be announced on January 2018. To get in the show reel upload a 10 - 20 second video showing off your game on the itch.io thread at the end of the jam. I'll download this video and add it into the video. If you do not post a video your game will not be in the show reel. Make sure to use something like obs as videos with watermarks will not be added in.